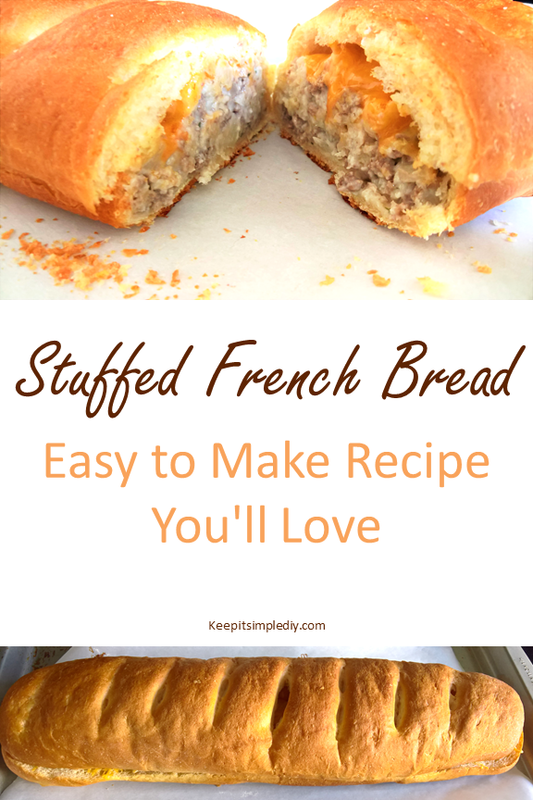 This recipe quickly became one of my all-time favorites! I first tried this when I was on my bread making kick. It is definitely a recipe we will make again and again. This recipe is such a great warm and cozy meal for a winter day. The bread turned out perfectly crunchy every time we’ve made this meal and even Nick loves it! 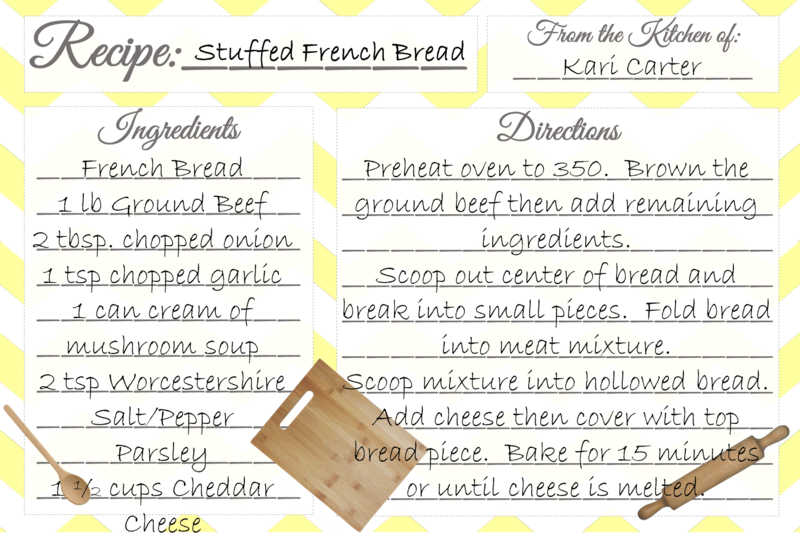 I’ve included the recipe for you and my custom recipe card. Feel free to right click and save the recipe card or print the recipe below. Brown the ground beef and add all except the cheese. Cook until onions are soft. Scoop out the center of the bread and cut into small pieces. Add the pieces to a bowl. Fold the bread pieces into the meat mixture then scoop into the hollowed bread loaf. Add cheese on top of the bread mixture then cover with the top piece of bread. Okay, this looks amazing! I come from a family that pretty much eats French bread with every meal. This is a good way to turn a side into an entire meal. Thanks for sharing! Yum! I had a loaf of bread stuffed with chicken dip last weekend and it was so good because of how crusty it got. I love the ground beef variation. 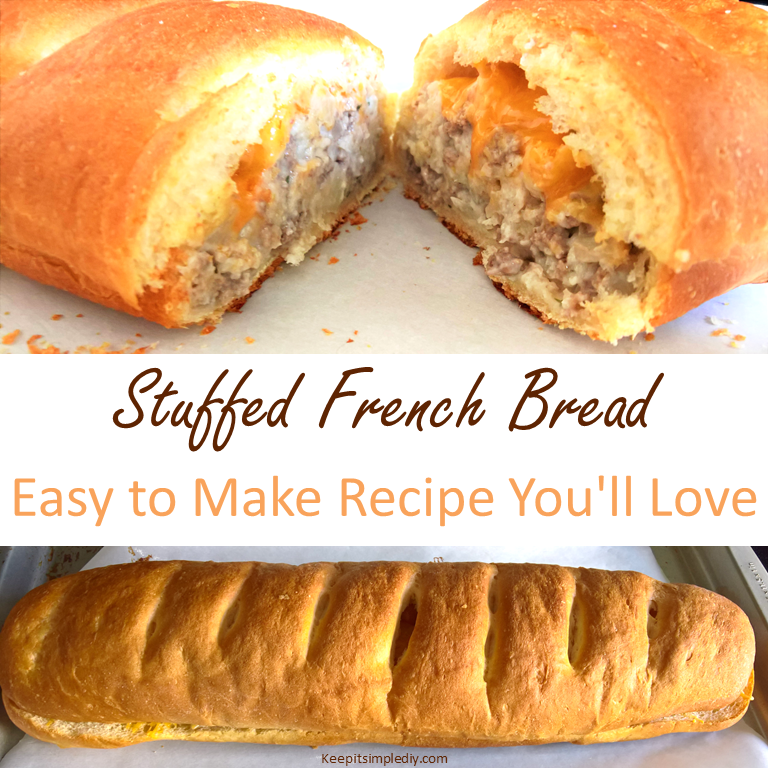 What a fabulous idea – stuffed french bread! And your recipe card is just too darn cute. I love it! This looks amazing! Honestly looks like it could be super simple to make and also something that everyone would love! This would be perfect for “Game Day”!